Have you been enjoying the podcast Serial? Should you be? 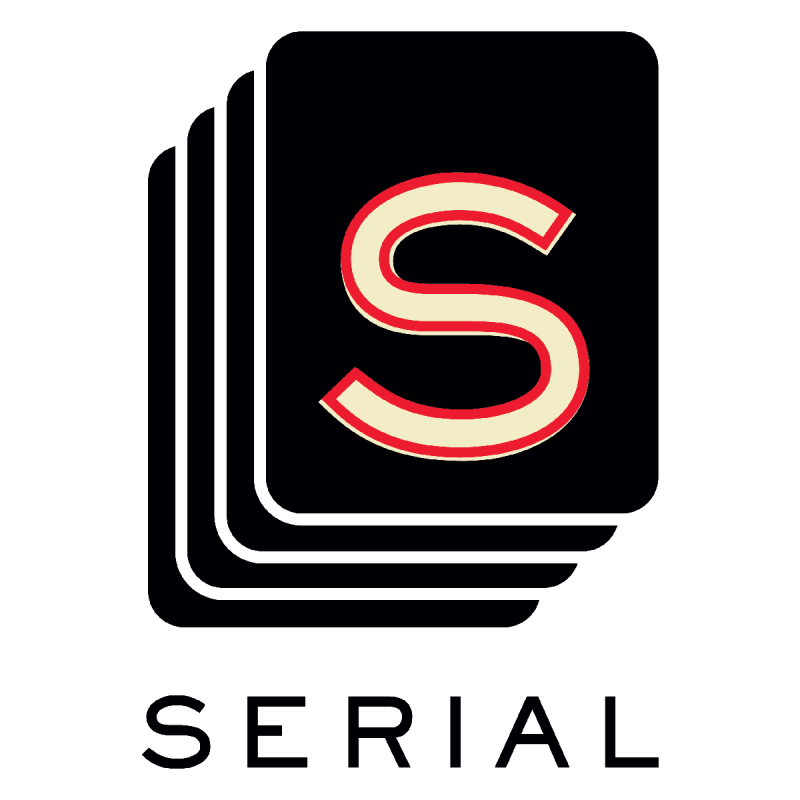 Serial is a spinoff series from WBEZ, the makers of This American Life. Instead of focusing on a single theme each episode, each episode is a continuation of a single story—in this case, the murder of a high-school senior 15 years ago. It is occassionally compared to the show Cold Case, which is fair in that they’re both about old murder cases. However, Cold Case is a fictional television show, whereas Serial is a recount of a real murder in an ordinary world, full of possibly meaningless details. Its drama comes from Koenig’s avid examination of all these tiny bits of evidence, the fear that the truth may ultimately be unachievable, and the chance that her conclusion could change a real person’s life. It is a podcast show, meaning it’s a radio show for the mobile era (think War of the Worlds). It’s showing that people will listen to long, thoroughly investigated stories in podcast form—the show has been at the top of the iTunes chart since it launched. It now has a million listeners per episode. Serial is hosted by the journalist Sarah Koenig and follows her as she puzzles over whether Adnan Syed killed his ex-girlfriend, Hae Min Lee. It is a crime he is now serving a life sentence for. Koenig was tipped off to the case by Rabia Chaudry, a friend of Syed’s, who believed Syed’s defense attorney botched the case and asked Koenig to look into it. As she digs, Koenig finds questionable witnesses, ambiguous evidence, and a justice system that seems to have taken a disturbingly cursory approach to locking someone away for the rest of his life. Koenig says she’s still investigating and doesn’t know how the series will end—with Syed’s innocence, his guilt, or somewhere in the murky area between. It may not matter for the show. What makes Serial great is its attention to the way memory shifts over time and facts transform when seen in a different light. It’s somehow managed to make a show about the way reality resists narrative into a totally riveting narrative with cliffhanger endings. The issue with the show is that it’s about real life occurrences; this isn’t fictional work. With the exception of in-progress news reports, there isn’t any other show that releases information on cases as they discover it without knowing the ending. Serial gives listeners a huge amount of insight into the investigative process: how complicated it is, how unruly, how involved, how tedious. For a culture used to digesting crime stories in hour-long Law and Order segments, the “work in progress” or “inconclusiveness” of this can be problematic. The reason news organizations don’t do it is that you’ll find inconsistencies. There is a difference between voicing your “what ifs” and “maybes” about an issue to friends, and publishing it publicly to influence millions of others. That is another issue in this investigation: the risk of reverb with the people involved. Koenig is still actively pursuing this case, but the popularity is enormous and has gained national attention. This could mean that the story people are hearing could be influencing their memories or facts as Koenig moves forward into the investigation, especially as people involved in the case have begun to reach out to Koenig to give their reports of details. These future interviews are almost guaranteed to be influenced by previous knowledge of the case from Koenig. To the end point, if Koenig has a suspicion about the end of this case, is it ethical for her to withhold it for entertainment purposes? Suppose she knows that Adnan isn’t the killer, and she has a theory on who it is. Is it fair for her to keep that information from the public and the police while a murderer continues on with his life? If this was a fictional story, then it is absolutely okay for her to keep the suspense heightened for her audience, but from a journalistic/investigative stand point, it is unethical for her to hide her information in a case that may have wrongly imprisoned a young man. This story may not end up being what Koenig imagined, and she has the potential to to affect the lives of Syed and the family and community of this murdered young girl. The problem with the model minority stereotype—besides the fact that it dehumanizes millions of people—is that by its very nature it requires a “bad” minority to balance the scales. The impact of this model is that it is used as a way to continue to denigrate Black Americans while denying the issues of race in America. If one minority group can succeed in America, then they all can. This is what the model minority stereotype tells us. Placed opposite to these model minorities is Syed’s friend Jay, the black teen whose testimony defined the entire case. This was made most apparent in the episode “The Deal with Jay.” Koenig’s summary of Jay is this: “Jay didn’t come from the same kind of household as a lot of the other kids he hung around with. He lived with his grandparents and his mom, but his friends say it seemed like he was more or less taking care of himself. He always had a job, his mother depended on him.” It’s a stereotypical household of an urban youth, but what Koenig fails to point out is that Jay wasn’t the only kid in his group working. Both Hae-Min and Adnan held jobs as teens, and Hae-Min had a single mother as well. Koenig takes her clear bias against Jay even further. She has the audacity to suggest that Jay’s blackness made him more likable to the half-black jury: “Jay seems like the underdog. It’s Baltimore. Half the jury is black, seven out of twelve actually. Jay probably comes off as this nice young man, and this white lady is yelling at him.” A large crutch of Koenig’s argument seems to lay in her unease. Whether or not Jay’s testimony is false, or Adnan is innocent, Koenig’s narrative in this story is based on racial stereotypes and continues to reinforce them to the millions of listeners of the series. If you have listened to Serial, should you be questioning the ethics of listening to a real-life investigation that will have real consequences? Ultimately, you need to decide that. In the mean time, here are some similar podcasts you can listen to that don’t have the same ethical issues. For more on the legal system, try Life of the Law. It examines a different aspect of the American legal system (from conjugal visits to the intellectual-property ramifications of joke stealing). Balancing documentary reporting with considered expert analysis. Criminal recounts true-crime stories from a distinctly human perspective, introducing different perpetrators, victims, and the kinds of surprising plot twists only real life can provide. If Serial is like an epic novel, then this always-engaging show is like a series of well-crafted short stories. Getting On with James Urbaniak could be considered a radio drama, but it also regularly pops up in lists of top comedy podcasts. Basically, every episode stars the host performing some new fictional scenario that may be funny, disturbing, or both. It never ends up where you thought it would.